Russian court refuses to mitigate sentence for Navalny’s brother | Russian Legal Information Agency (RAPSI). 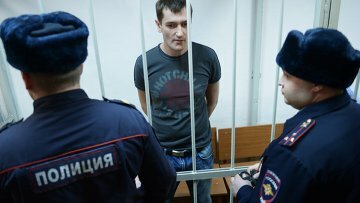 MOSCOW, June 14 (RAPSI, Lyudmila Klenko) – A court in the Oryol Region has denied a motion filed by the brother of opposition politician Alexey Navalny, Oleg, who had received a 3.5-year prison term in Yves Rocher embezzlement case, to mitigate his sentence, spokesperson of the Anti-Corruption Foundation Kira Yarmysh wrote on her Twitter account on Wednesday. In June 2016 and in February 2017, the court dismissed Oleg Navalny ‘s motions for parole because of numerous penalties he had received in prison. In December 2014, Alexey Navalny was given a 3.5-year suspended sentence in Yves Rocher case. His brother Oleg received a 3.5-year prison term. They were convicted of stealing nearly 30 million rubles (about $526,000 at the current exchange rate) from two companies, including Russian affiliate of Yves Rocher. The term of Oleg Navalny is to expire on June 30, 2018. 15:05 14/06/2017 A court in the Oryol Region has denied a motion filed by the brother of opposition politician Alexey Navalny, Oleg, who had received a 3.5-year prison term in Yves Rocher embezzlement case, to mitigate his sentence.